These are what we call “Lunch time” peel. You will leave looking like you just had a facial. Not like your face is burned after dramatized on TV & moves. You will see a light peeling of the skin similar to dry flaking skin over the coarse of a few days. While rivaling a never brighter layer of skin with less noticeable pores. Acne Scares, fine lines and wrinkles. Also gets deep into the skin cells to promote cell turnover and change the look, feel and texture of your skin. For best most dramatic result please discuss a series with the esthetician. Please advice if you are pregnant or breast-feeding. 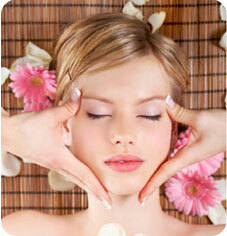 All are incorporated into a 50-minute facial. Can enhance the strength and barrier function of the skin. Also improves skin hydration and beauty products to absorb better. Helps with acne, dry skin, fine lines and wrinkles as well as exclusive oil production, sun damage, acne scares, clogged pores and mild skin imperfections. promotes softer, smoother skin, extremely hydrating, improves the appearance of fine lines and wrinkles, acne scares and even the skin tones and texture. Less intense then other peels make it ideal for sensitive skin types or those new to peels or those looking for mild results. Not recommended for anyone who is lactose intolerant. Grate for those with acne or lackluster appearance and sensitive skin. Very Gentle exfoliate that stimulates new cell growth, improves tone and texture, alleviates dryness, clears the pores preventing the formation of white heads and cystic acne, Pores appear smaller.